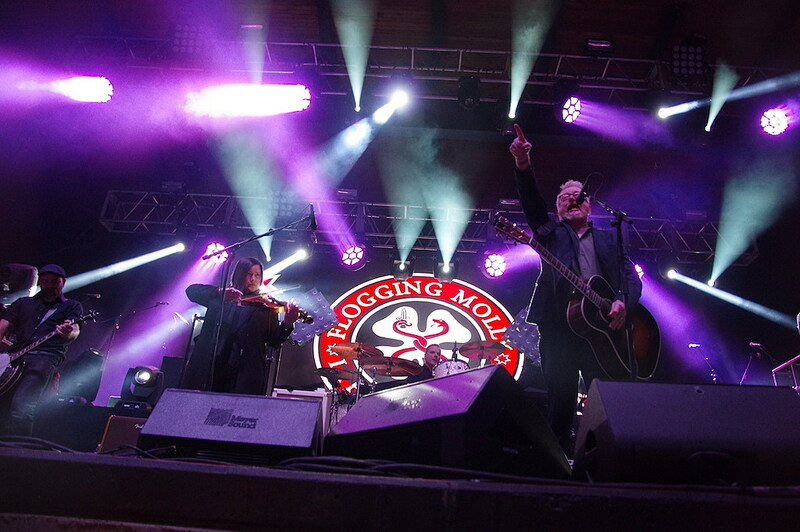 Los Angeles-based Flogging Molly and Boston-based Dropkick Murphys brought their Celtic punk performance to a sold out Kettlehouse Amphitheater in Missoula this weekend. Both bands have their origin and musical inspiration from Ireland and its history that include the poverty and drinking as well as the Church. The genesis of this collective tour came a little over a year ago, when the two bands played together at a festival in Italy. View photos from the concert by following this link to Missoula Current’s media section.